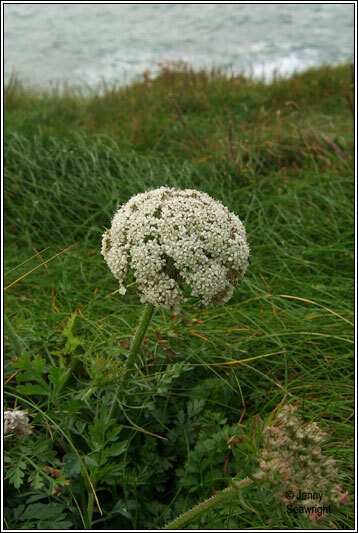 Coastal subspecies of Wild Carrot, D. carota. 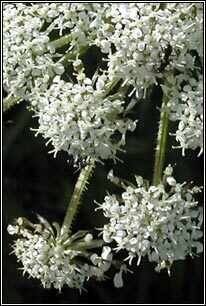 Umbels of white-pinky/red flowers. 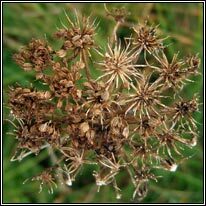 Fruit umbels not contracted in fruit, convex to slightly concave, rays with stiff, bristly hairs. 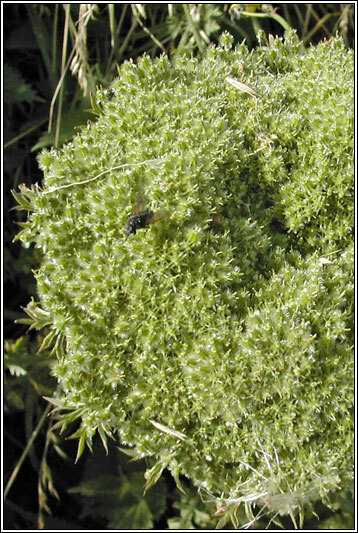 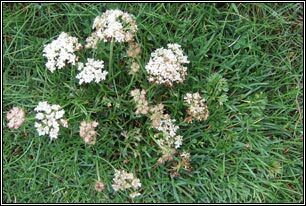 Darker-green, fleshier, blunter leaflets than Wild Carrot. 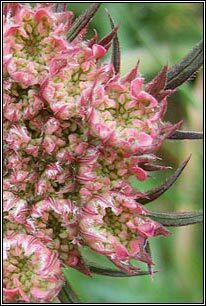 Shorter, stouter stems, height usually less than 25cm. 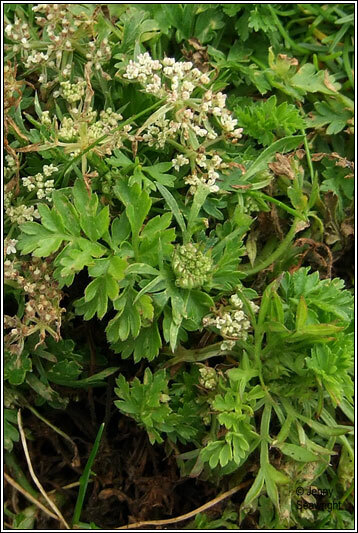 Only found on coasts, in grassland on cliffs and stable sand-dunes. 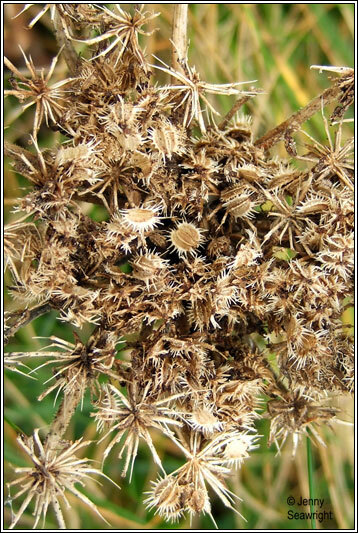 Rare, coasts of Counties Cork, Waterford and Wicklow.